while somebody is filming me. I won’t be talking, but look for my wheel, a hand knit sweater or two, and bright yellow socks. Hope it went well. 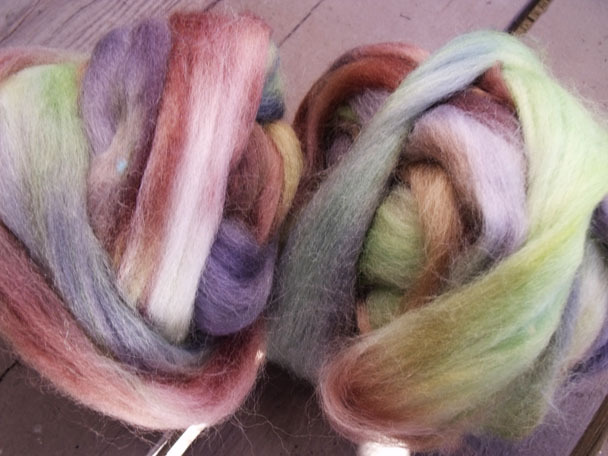 I love the color combinations in this fiber!